What are the challenges with IIS log analysis? In modern distributed setups, log volumes can rise rapidly and become unmanageable. Also, while the native Microsoft IIS log analyzer is useful, teams have to use multiple logging tools to monitor their infrastructure and applications. When searching through massive log volumes in a distributed stack, common log viewers can get quite slow. The free IIS log analyzer doesn’t offer much help to teams when troubleshooting operational issues. Teams need to perform a quick analysis and troubleshoot issues faster to reduce the impact of outages. However, they lack advanced tools and have to rely on open-source solutions that require complex configuration. As a cloud-based SaaS solution, SolarWinds® Loggly® simplifies management of all types of application and infrastructure logs. Unlike free IIS web log analyzers, Loggly offers advanced features for indexing, parsing, organizing, and visualizing your IIS logs so you can solve your operational issues faster. Loggly has an agentless architecture, which means you don’t have to install any proprietary agent to send logs to Loggly. You can send your IIS logs to Loggly via nxlog, which converts them to JSON format. Loggly also accepts a wide range of text-based structured/unstructured logs over Syslog (TCP, UDP, TLS) or HTTP/S. Loggly can significantly improve your troubleshooting experience by simplifying several tasks. It supports a wide range of log types for automated parsing, meaning when you send your IIS logs to Loggly in the JSON format (which is a supported format), you can get them automatically parsed. Loggly also helps ensure you get near-instant results for your searches across your distributed stack. Unlike other IIS log analyzers, Loggly offers a highly intuitive interface, making it easier to get better visibility into your logs. 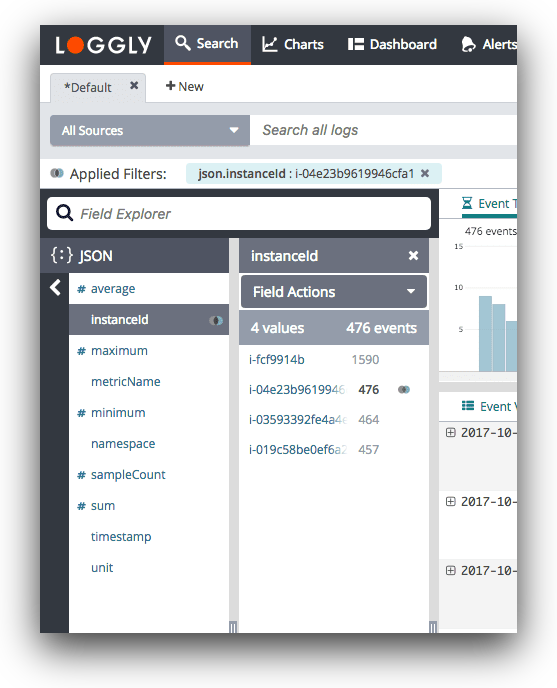 You can use the dynamic field explorer feature, which provides a guided search experience, filters out noise, and helps you quickly browse through the log data to find any recurring patterns or anomalies. You don’t need to use a separate tool to visualize your logs. Loggly offers different types of charts to help you gather and present complex time-series data. Easily find trends and behavior over a period of time by comparing charts from a day or week before, using Timeshift. By combining multiple charts, you can build dashboards to monitor your applications and infrastructure over a single window. You can also make use of the anomalies chart to find patterns that may remain undetected form your threshold-based alerts. Even better— Loggly eases collaboration as you can share your dashboard with your team members. You can also restrict access to edit dashboards and, in case you need to include information from a dashboard in a report, you can download it as a PNG.